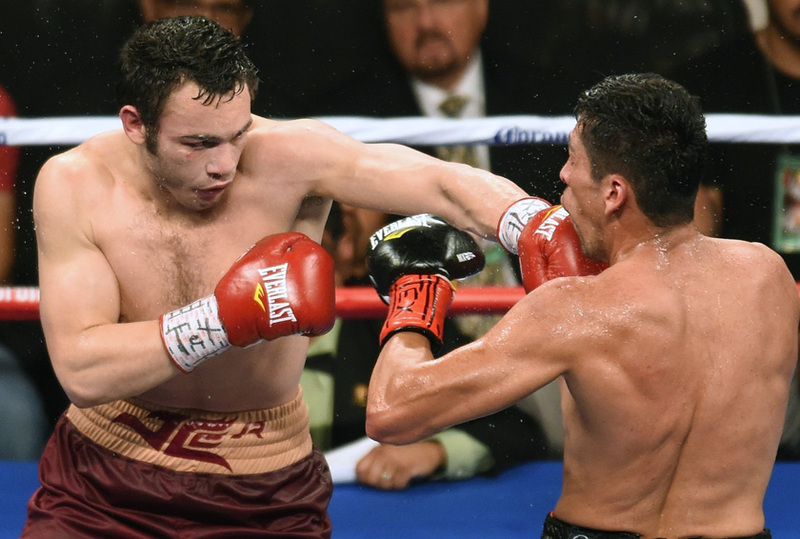 Julio Cesar Chavez Jr. won a unanimous decision over Marcos Reyes without being forced to work hard for the win. That likely was exactly what Chavez wanted. The namesake son of the Mexican legend was coming off an embarrassing loss in April to light heavyweight contender Andrzej Fonfara. Chavez had previously been accustomed to using his size advantage to absorb his opponent’s punches while bullying them with his own power. That’s not what happened with Fonfara, who dominated the fight until Chavez couldn’t take it anymore and quit. Instead of learning from his mistakes, Chavez went back to his old habits. His team found in Reyes another undersized foe. Chavez added to his advantage by coming in overweight and then adding what appeared to be a considerable amount of pounds before fight night. Reyes put up a good effort, but Chavez was able to take those shots fine, hit harder in return and take the victory in what essentially was a sparring match. Or in this case, a mismatch. Boxing fans who have grown tired of Chavez’s shenanigans want to see him tested. Hopefully he’ll be made to work much harder in his next fight, which could be at super middleweight (a couple pounds below where the Reyes fight took place) be it against titleholder Badou Jack, prospect J’Leon Love or one of the Dirrell brothers. Or if he’s feeling ambitious and brave, there are difficult options at light heavyweight such as champion Adonis Stevenson, a rematch with Fonfara, or contenders Eleider Alvarez and Artur Beterbiev. Carl Frampton was already a star in Northern Ireland and the United Kingdom, but he came to America seeking to make an impression by, well, impressing. Instead, the earliest moments of his stateside debut had the 122-pound titleholder coming off the canvas twice. 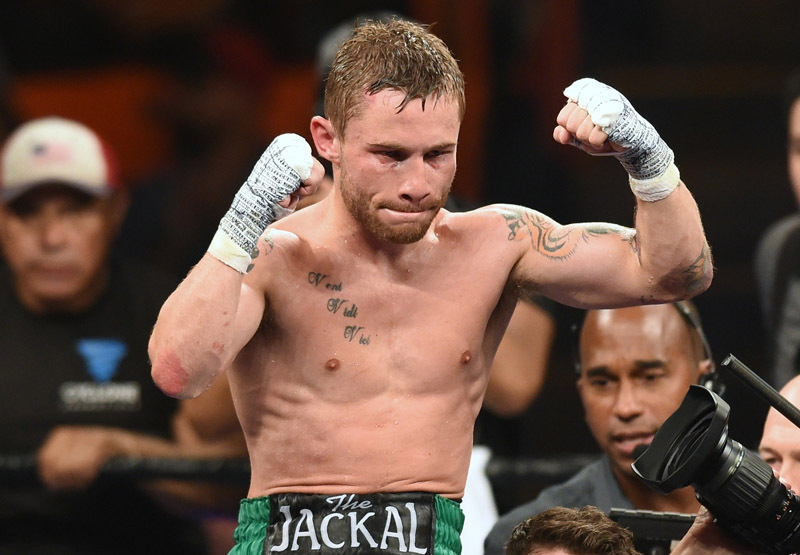 It wasn’t a good start, but Frampton rose, regained control and topped Alejandro Gonzalez by unanimous decision. Gonzalez scored the first knockdown off a jab as Frampton was coming forward and off-balance. The second knockdown was the result of a jab that was followed by a good right hand that landed behind Frampton’s left ear. While Gonzalez had never been in with a fighter on Frampton’s level, he proved to be a game challenger who made Frampton work harder for the win. Instead of rushing in recklessly, Frampton became more tactical though not tentative. At times he worked behind his jab to upset Gonzalez’s rhythm, or used well-timed and well-placed single shots and short combinations to assert control. The adjustment worked. Frampton won 10 of 12 rounds on two of the three judges’ scorecards and 9 of 12 rounds on the third. Frampton clearly wasn’t at his best. Some of that can be credited to Gonzalez, but some consideration also should be given to Frampton’s excuse that he dropped too much weight in the days before the bout. Boxing fans in his home country had been hoping for a clash with fellow British junior featherweight Scott Quigg, who quickly dispatched of former Frampton victim Kiko Martinez on the same day as Frampton-Gonzalez. Fortunately there are plenty of interesting fights that could be made for Frampton in America at 126 pounds should he decide to move up to featherweight, be it against titleholders Jesus Cuellar and Gary Russell Jr. or the winner of the Aug. 29 fight between Abner Mares and Leo Santa Cruz. There’s also the possibility of another name back home: newly crowned titleholder Lee Selby, who hails from Wales. As for Gonzalez, his second pro loss can be marked down as a learning experience. He’s only 22 years old, and it wouldn’t be at all surprising if we see him again soon so long as he continues to improve. Arreola Draws With Kassi; Will He Still Get Wilder Next? 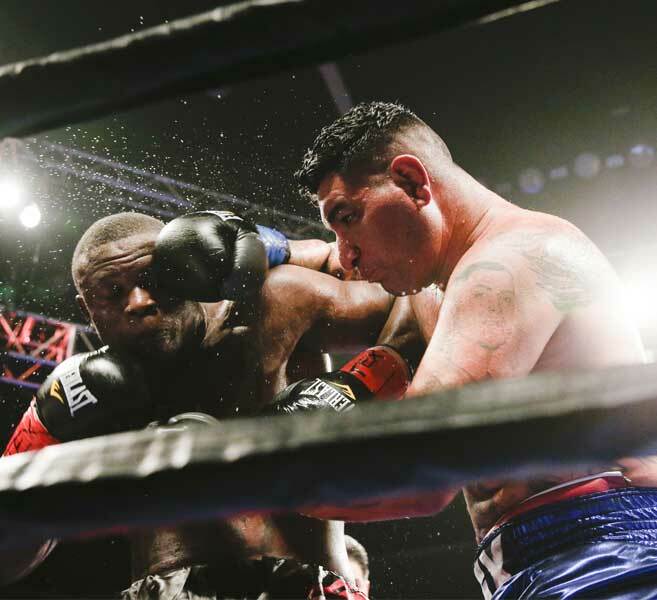 Even if Chris Arreola didn’t officially lose to Fred Kassi, he may have lost out on a chance to challenge heavyweight titleholder Deontay Wilder later in the year. Arreola and Kassi fought to a majority draw — one of the three official judges had Arreola winning, the other two had it even, and many watching felt as if Kassi should’ve left with the victor. While Arreola was 15 pounds lighter than he’d been for a March fight in which he also struggled against a lesser opponent, he still wasn’t in good enough shape to keep constant pressure on Kassi. Arreola moved too slowly and punched too rarely. Kassi boxed well at times, landing a punch or two before moving away from or ducking underneath the shots Arreola sent out in return. Arreola was most effective when he was more aggressive, digging hard to the body or putting punches together in combination. Those moments didn’t happen often enough. It remains to be seen what the consequences will be of Arreola’s poor performance. Wilder is scheduled to fight in late September. No opponent has been named yet, though Arreola was rumored before the Kassi fight to be in line for the opportunity. Arreola admitted afterward that he didn’t feel as if he earned a shot at the heavyweight title, though he also claimed he would arrive in better shape and better prepared against Wilder. That’s something we’ve heard over and over from Arreola after every disappointment. Although Kassi didn’t get the win, he nevertheless bounced back in his first appearance since suffering a knockout loss last year. This could land him another fight against another notable name. Then again, Kassi’s difficult style may mean that boxers and their teams will opt for an easier opponent instead.